Son of Henry V and Katherine of Valois who succeeded his father to the English throne at 9 months old and the French throne at less than 11 months. Married Margaret of Anjou. 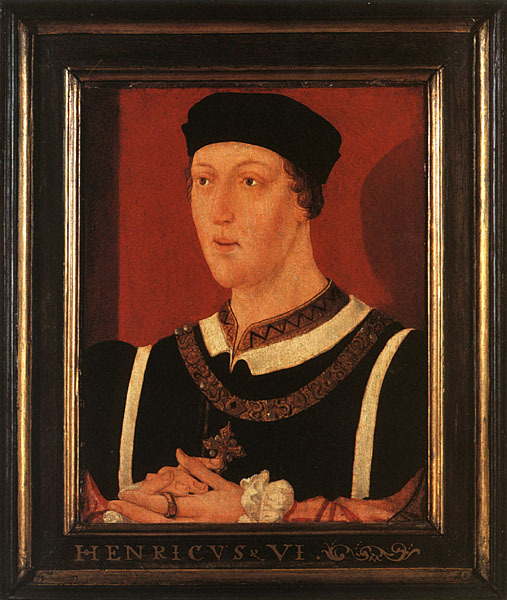 His illness that left him incapacitated helped to inflame tensions between the Lancastrians and Yorkists. He was imprisoned a few times during the Wars of the Roses and was eventually murdered in the Tower of London.